Cardiac Troponin T (cTnT): early marker of acute myocardial infarction. 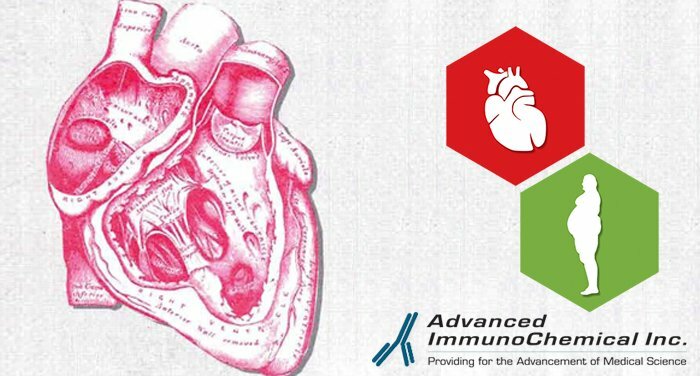 - Advanced ImmunoChemical Inc.Advanced ImmunoChemical Inc.
Home » Article » Cardiac Troponin T (cTnT): early marker of acute myocardial infarction. The cardiac isoform of TnT is widely used as a marker of myocardial cell injury, just as cTnI is. cTnT has the same release kinetics into the bloodstream and the same sensitivity for minor myocardial injury as cTnI. In the blood of acute myocardial infarction (AMI) patients, cTnT is often found in a free form whereas cTnI is mostly found in complex with TnC. In humans, cardiac troponin T is encoded by the TNNT2 gene. The major isoform found in normal adult human heart tissue (isoform 6 or TnT3) is 287 amino acids long with a calculated molecular weight of 34.6 kDa. We provide three new monoclonal antibodies that are suitable for the development of high-sensitivity cTnT immunoassays. In-house assays show superior sensitivity with limit of detection better than 0.3 ng/L and high specificity (no cross-reaction to cTnI or to skeletal isoforms of TnT up to 30 ng/L). We also provide polyclonal anti-cTnT antibodies as well as purified native and recombinant human cTnT and recombinant human slow and fast skeletal TnT proteins. The skeletal proteins are ideal for studying immunoassay cross-reactivity to these isoforms.